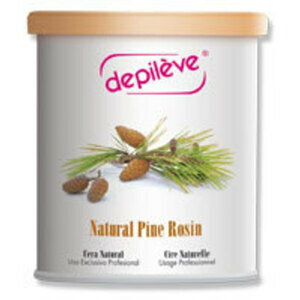 DEPILEVE All-Purpose Natural Pine Rosin Wax / 14 oz. DEPILEVE Azulene Cream Rosin Wax / 14 oz. DEPILEVE Pearl Rosin Wax / 14 oz. DEPILEVE European Gold Hard Wax / 14 oz. DEPILEVE Pre Base / 7 oz. DEPILEVE Milk Cleanser / 7 oz. DEPILEVE Oil Cleanser / 7 oz. DEPILEVE Deluxe Warmer / 14 oz. DEPILEVE Intro Warmer / 14 oz. DEPILEVE Non-Woven Facial Strips / 100-ct.
DEPILEVE Non-Woven Roll / 3" x 55 yds. DEPILEVE Collar Rings / 50-ct.
DEPILEVE Body Applicators / 100-ct.
DEPILEVE Soothing Cream / 7 oz. DEPILEVE Non-Woven Body Strips / 100-ct.
DEPILEVE 100% Natural Muslin Body Strips / 100-ct.
DEPILEVE Bleached Muslin Body Strips / 100-ct.
DEPILEVE Eyebrow Applicators / 100-pk. DEPILEVE Folisan / 5.28 oz. DEPILEVE Intimate Film Rosin / 14 oz. DEPILEVE Easy Clean / 35.5 oz. Depileve Pre-Base Gel / Pre Waxing Product / 7 oz. Depileve Milk Cleanser / Pre Waxing Product / 7 oz. Depileve Oil Cleanser / Post Waxing Product / 7 oz. Depileve Easy Clean / 7.44 oz. Depileve Soothing Cream / Post Waxing Product / 7 oz. 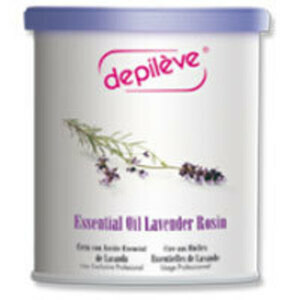 Depileve Folisan - Post Waxing Product / 5 oz.